Lepe Lighthouse is situated in the Lepe Country Park within the New Forest, Hampshire, UK. It was built in 2000 to help sailors navigate the approach to the Beaulieu river from the Solent, and is a very distinctive landmark on the coast. 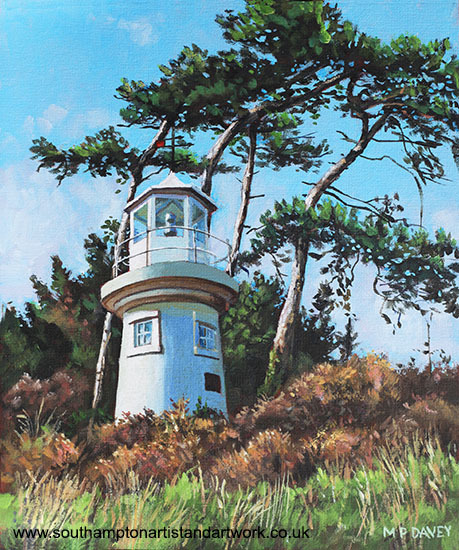 The lighthouse is formally known as the Beaulieu River Millennium beacon. The painting is done in acrylics on a canvas board measuring 10” x 12”, within a day.